Mitsubishi FUSO is wanting to get into the Modern PUV game. And with that, they’ve previewed their very own PUV Class 2 model: the Canter Commute. Customized by Almazora Motors Corporation, it complies with Philippine National Standards (PNS) 2126:2017 “Public Utility Vehicles Class 2 and Class 3 – Dimensions. It can accommodate a total of 30 passengers (20 seating + 10 standing). For comfort, it comes with overhead-mounted A/C vents patterned from Mitsubishi FUSO’s very own light bus model, the Rosa. In terms of safety and security, CCTVs, Dash Camera, and Reverse Camera are installed. 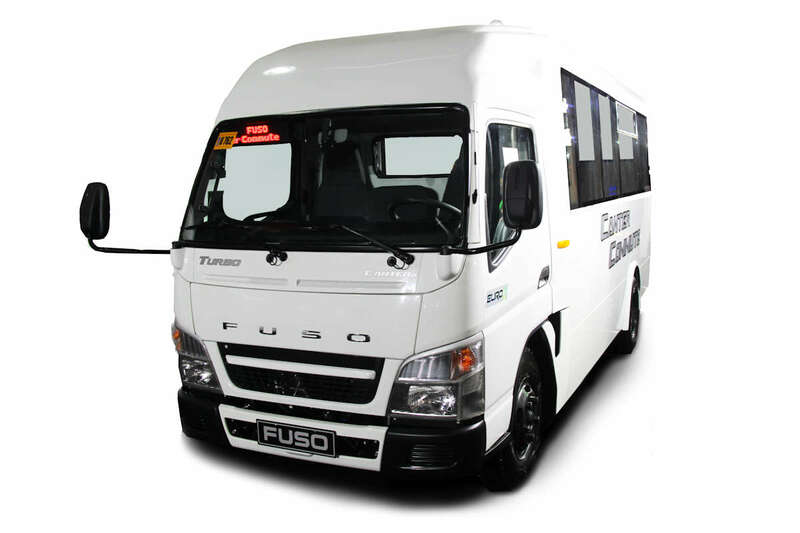 And as for passenger convenience as required by the Omnibus Franchising Guidelines (OFG) of the Department of Transportation, the Canter Commute is equipped with Electronic Signage, WiFi, LCD TV monitors, and an Automatic Fare Collection System (AFCS). If everything goes well, Mitsubishi FUSO and Almazora should be able to start offering the Canter Commute to accredited transport cooperatives very soon.